Some keys may have been used for several purposes. 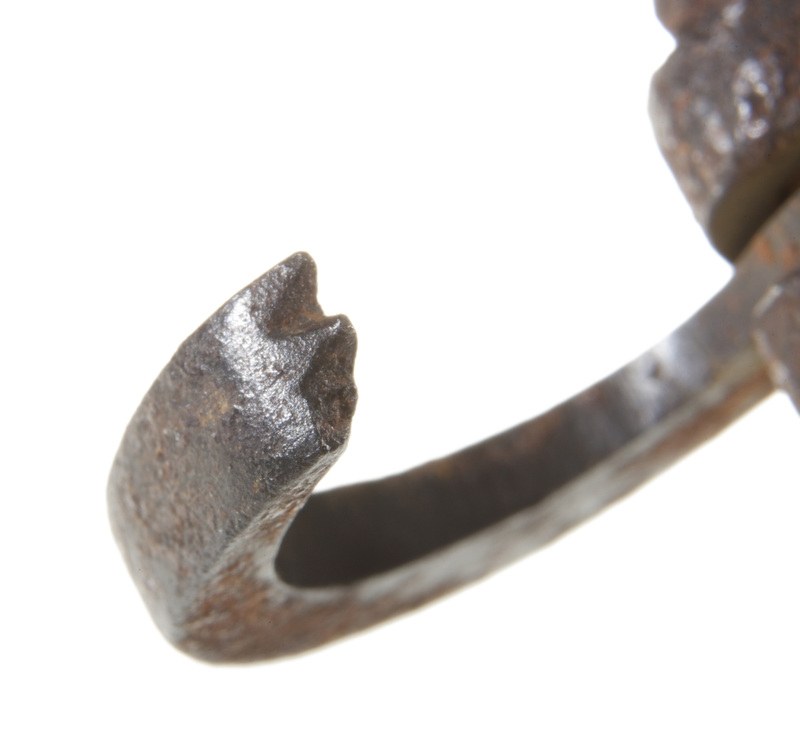 This second "improved" key (A147.172) shows significant signs of wear. 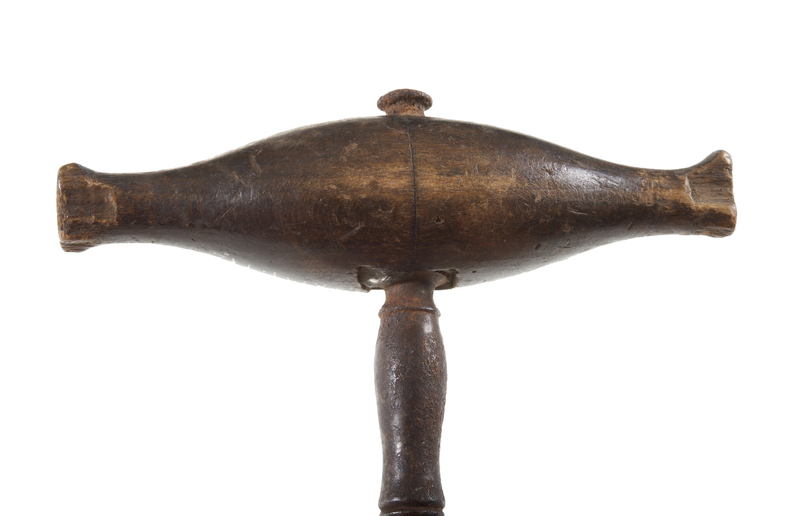 It has a blunted, broken claw tip and a damaged mahogany handle repaired by pounding lead wedges into the gaps that had developed between it and the shaft. 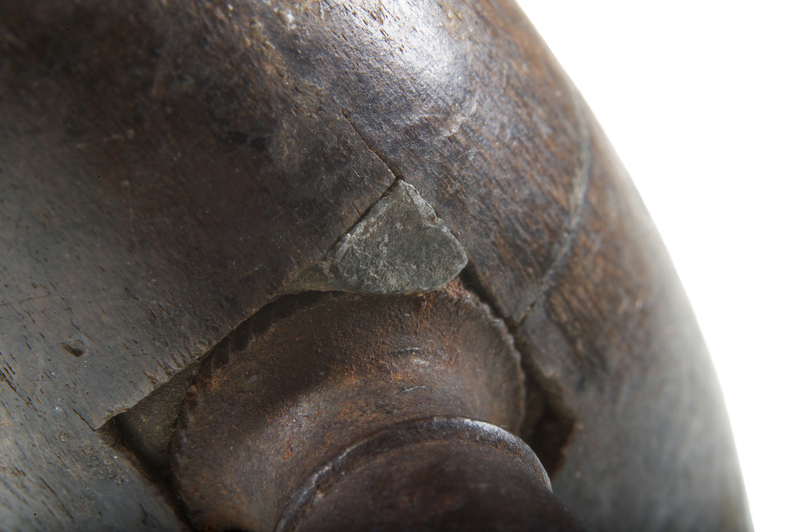 The handle ends appear chipped and worn as though occasionally dropped and subsequently smoothed by repetitive use. 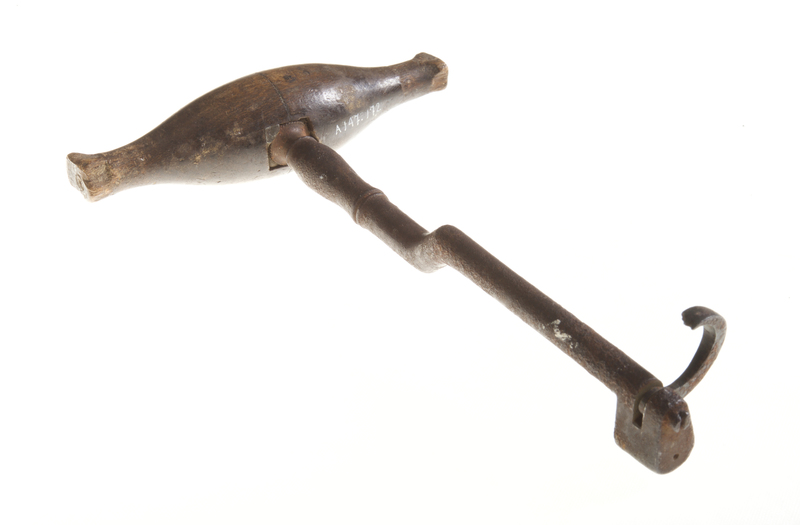 One would hope this aging key had been used as a tool to repair the owner’s other dental devices, rather than as a tooth pulling instrument!